“The Adventures of Tintin” (“Les Aventures de Tintin”) is a series of comic strip narratives created by Georges Remi under the pseudonym Hergé (a transposing of his initials, R G, as pronounced in French). 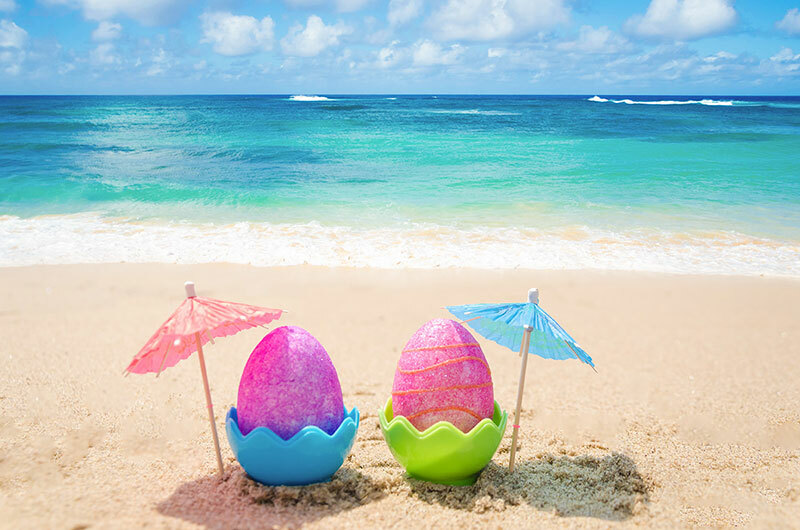 They first appeared in French in a children’s supplement to the Belgian newspaper “Le Vingtième Siècle” in 1929. Set in a painstakingly researched world closely mirroring our own, The Adventures of Tintin present a number of well realised characters in distinctive settings. The series has continued as a favourite of readers and critics alike for over 70 years. 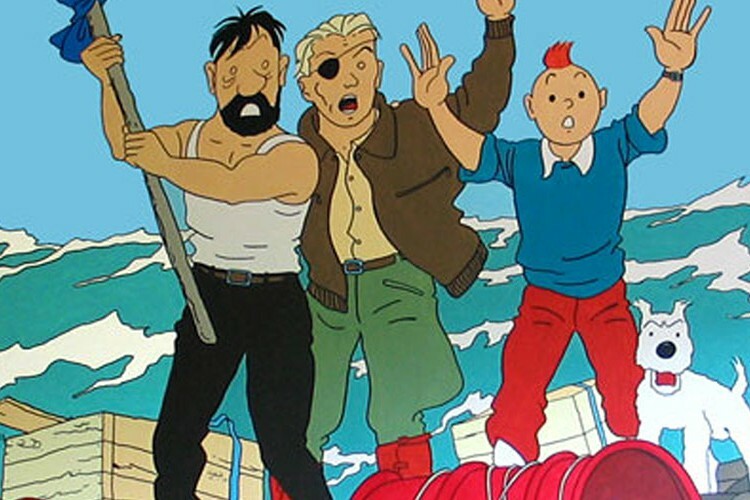 The hero of the series is the titular character, Tintin, a young reporter and traveller. He is aided in his adventures from the beginning by his faithful dog Snowy (Milou in French). 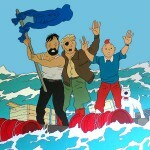 Later, popular additions to the cast included Captain Haddock and other colourful supporting characters. The series is one of the most popular European comics of the 20th century, with translations published in over 50 languages and more than 200 million copies of the books sold to date. The comic strip series has long been admired for its clean, expressive drawings in Hergé’s signature “ligne claire” style. 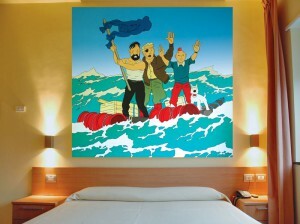 The adoption of colour allowed Hergé to expand the scope of the works. His use of colour was more advanced than that of American comics of the time, with better production values allowing a combination of the four printing shades and thus a cinematographic approach to lighting and shading. Hergé and his studio would allow images to fill half pages or, more simply, to detail and accentuate the scene, using colour to emphasise important points. Hergé notes this fact, stating “I consider my stories as movies. No narration, no descriptions, emphasis is given to images. Engaging, well-researched plots, straddle a variety of genres: swashbuckling adventures with elements of fantasy; mysteries; political thrillers; and science fiction. 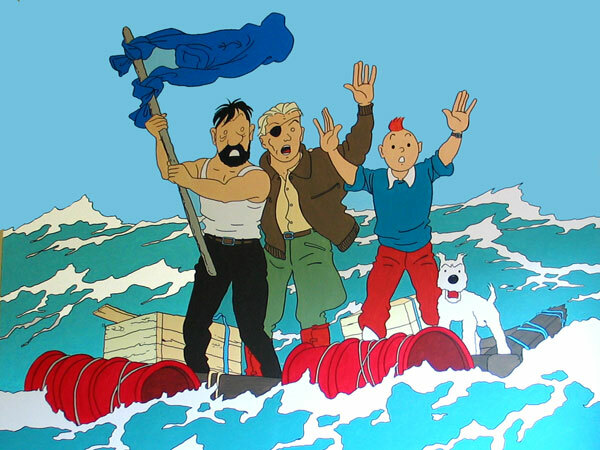 The titles in the Tintin series always feature slapstick humour, offset in later albums by sophisticated satire and political/cultural commentary.